The Zoning Administrator has the initial responsibility and authority for the interpretation and enforcement of the Land Development Code and all other applicable ordinances, regulations and codes. The Zoning Board of Appeals is charged with hearing requests for variances to the Land Development Code. Variances from the use regulations of the Land Development Code are prohibited. Variances from the dimensional standards (setbacks, parking requirements; or landscape requirements) will be considered. 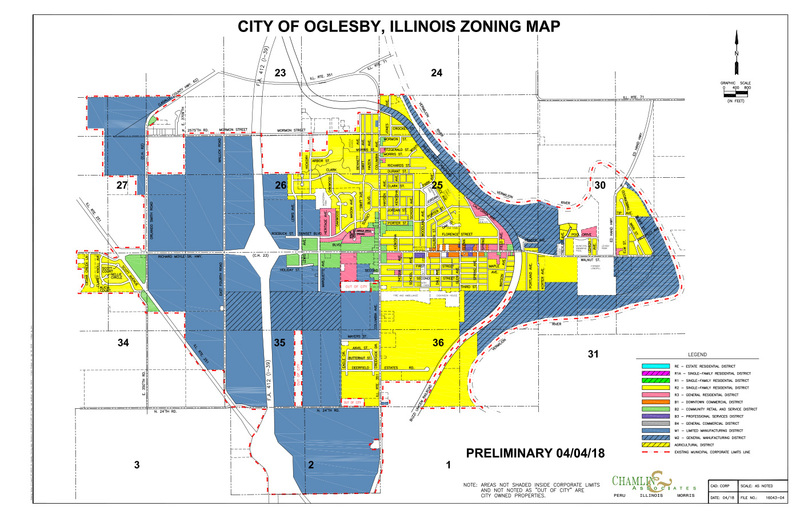 Oglesby Land Development Code, adopted 10.1/18. 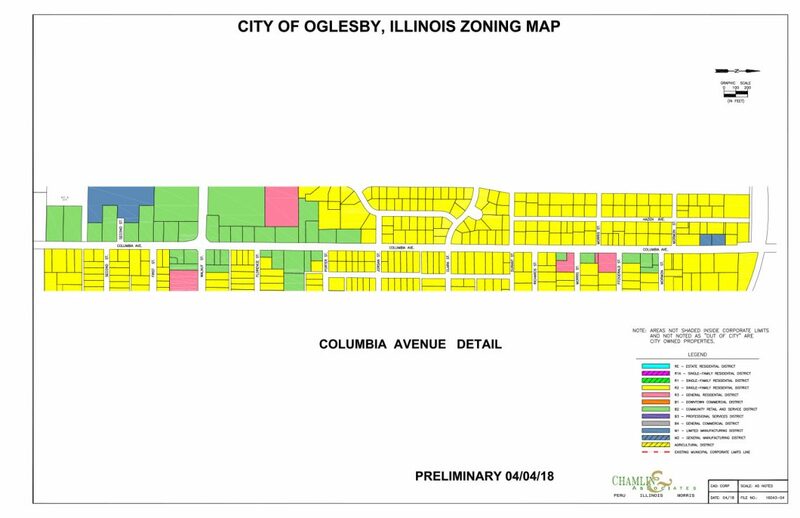 The Plan Commission will hear and make recommendations for text amendments, zoning map amendments, multi-family design review, special uses, preliminary plats and planned developments in accordance with the Land Development Code. 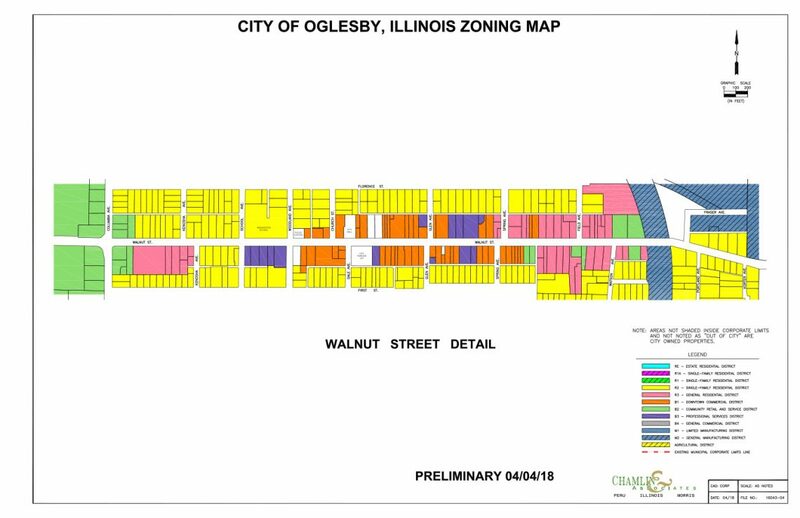 The Oglesby City Council gives final approval for all matters coming before the Zoning Board of Appeals and the Plan Commission. The Plan Commission is also responsible for developing and revising the City’s Comprehensive Plan. 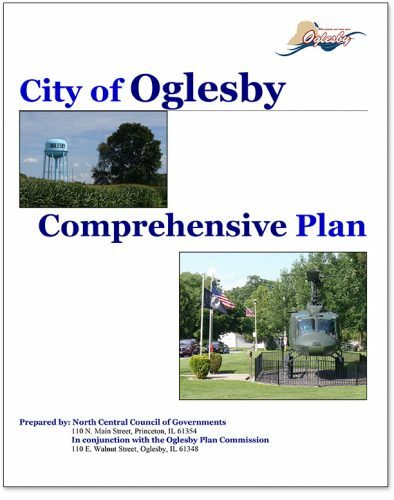 Oglesby’s Comprehensive Plan was last adopted by the City Council in December of 2009. Read the entire Comprehensive Plan. The Upper Illinois River Valley Development Authority (UIRVDA) administers the UIRVDA Enterprise Zone (UVEZ). The Enterprise Zone Program is designed to provide state tax credits and exemptions as incentives to encourage businesses to make a new investment on property within the Zone. This stimulates business activity.